This album was added to our database on May 4, 2007, and the album's information was last updated 11 years ago. Sindrone is responsible for keeping this album's information up to date. This page has been viewed 2010 time(s). 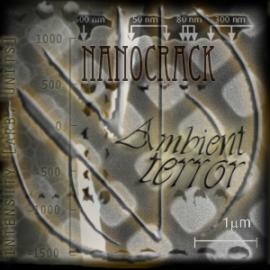 Play all the songs on "Ambient Terror"
Amidst the static, hard beats, low bass hum, and feedback loops is a vision that all began as an effort to create the most harsh electro for an unsuspecting acoustic improv audience. © copyright 1993-2007 by fearstudios.com ( 186202967+132ms ). All Rights Reserved. Report a bug or make a suggestion.